Often overshadowed by San Francisco, its twinkling sister city across the Bay, Oakland is itself an American wonder. The city is surrounded by and filled with natural beauty - mountains and hills and lakes and a bay - and architecture that mirrors its history as a Spanish mission, a gold rush outpost, and home of the West's most devious robber barons. It's also a city of artists and blue-collar workers, the birthplace of the Black Panthers, neighbor to Berkeley, and home to a vibrant and volatile stew of immigrants and refugees. 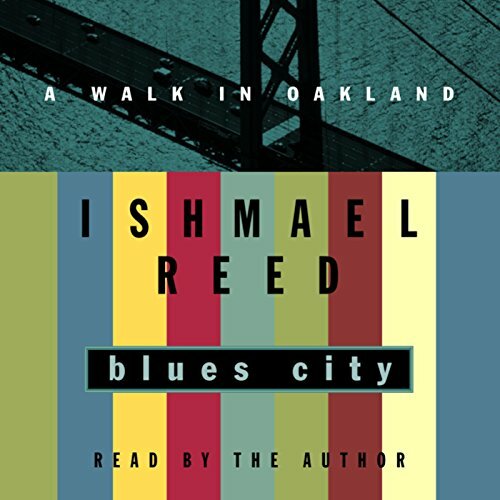 In Blues City, Ishmael Reed, one of our most brilliant essayists, takes us on a tour of Oakland, exploring its fascinating history, its beautiful hills and waterfronts, and its odd cultural juxtapositions. He takes us into a year in the life of this amazing city, to black cowboy parades and Indian powwows, to Black Panther reunions and Gay Pride concerts, to a Japanese jazz club where a Lakota musician plays Coltrane's "Naima". Reed provides a fascinating tour of an untamed, unruly Western outpost set against the backdrop of political intrigues, ethnic rivalries, and a gentrification-obsessed mayor, opening our eyes not only to a singular city but to a newly emerging America.